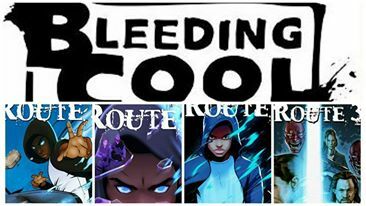 I woke up on Monday to an awesome surprise in the form of my interview with Marco Lopez of Bleeding Cool News about my career, Route 3, my love of Milestone Media, and a few other topics. Check out the interview here and spread the word. Check out this On The Blerdar opportunity. The post On The Blerdar: West Park Arts Fest appeared first on I Am Black Sci-Fi.